Have you ever been in a situation where you had no other alternative but to format your computer, thereby losing all your important documents or files? Then this tutorial is just for you. Today am going to show you how to create a partition on your Hard Disk. This Partition you are going to create is going to be like a Backup memory, where you can save all important files, just incase you format the primary drive (Os drive) you can always retrieve those important files. 3. 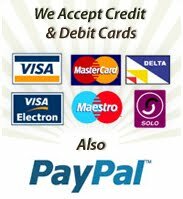 Click on Administrative Tools. 4. Double Click on Computer Management. 5. Click on Disk Management. 6. Left Click on partition that you want to re-size (shrink or extend). 7. Want to shrink volume of disk 0 on "C" partition, so click shrink. 8. Enter the amount of space to shrink, windows 7 already give maximum size to shrink, so we can only reduce the size. 10. Now we have unallocated disk space to create a partition, left click on unallocated disk space and click new simple volume. 11. Wizard for creating new simple volume will appear, just click next. 12. Type size of partition we want to create, and click next. 13. Assign drive letter for partition, and click next. 14. Choose format of partition (choose NTFS), and don't forget to choose "perform a quick format" to format partition quickly, and click next. 15. Click finish to complete creating partition, and new partition already create. At step 14, I chose the DEFAULT allocation size unit, and clicked next. Then I got message that - converting the simple basic disk to Dynamic disk...means that I will not be able to start any installed operating system from the volume.... I clicked to continue and got another message_ that the Dynamic disk are not supported on the operating the system...and clusters. Pls Can U help me out? Anonymous October 6th. Sorry for delay in response and abt the issue you are having. 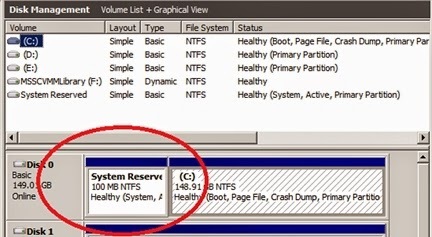 When creating the new partition try not to convert it to Dynamic disk. Let it be Simple Basic just like the default Local Disk C is. Hi, TG 1month is $4.2 and 3months is $10.